Learn about the affects on student loan due to divorce and marriage. Read the article to know about state law, debt before and after marriage, assert and debt division, income-driven plans, servicers and credit score after the divorce. A marriage is a total hard work and a lot of time to make it a healthy one. where you need to commit yourself to work with your spouse and try to guide your life and overcome all the obstacles together jointly. Finance and money play a vital role and key in all the materialist problems. Sadly, many young people are facing more financial pressure even before getting in. The major cause of financial stress in young people lives is student loan debt. Yes, the study shows that student loan debt is one of the main reason for divorce. 9. How much debt is there in a relationship? Postgraduate education and colleges use to be more affordable but, now it seems like the cost of education is sky rocking. Research shows that currently there are around 44 Million Americans who are in student loan debt. The owe in total more than $1.5 Trillion to the federal government and private agencies. The average student debt was around $34,000. Despite its many students who are particularly in the advanced degree. They have much more in terms of debt at a higher level. Consumer Financial Protection Bureau shows that the number of borrowers who have owed more than $50,000 has been tripled over the 10 years. It's not only about the principal of the loans it's burdensome. Interest reaches sky up on debt on a daily basis. The overall debt will just go up. When the students try to make the payments it goes only to the interest no to the principal where it makes it hard to manage the debt. Dealing with student loans and divorce is more complicated and it needs a lot of knowledge in advance. If you are married with the student loan debt and looking for a divorce then here are some process which will affect you in order to be prepared. There are a lot of factors which are required to be considered so let get into it who will be liable for student loans after the divorce? When you are advancing for a divorce you need to divide all of your assets and debts based on the laws of the state you are residing in. Under equitable distribution state, it's a more complicated division of marital property as each one of the spouses has a legal claim for a fair and even-handed portion of the assets where it can or cannot be made into 2 equal parts of 50 -50. Where most of the states are an equal distribution of states and the court which has a final decision on what the constitutes a fair and equitable distribution of properties. Sometimes the assets are divided between spouse differently than in the debts are meant to. However these are divided into the same formula, no one seems to get into a fight over who gets to keep the debt. If you and your spouse seem to have an equal amount of student loan debt then the divorce arrangement is easier to do. Each and every time you simply take responsibility for the own student loans makes the payments hefty. Despite it, if one spouse seems to have more debt on a student loan than the other then the couple and their legal counsel will come to an arrangement for dividing up the debts and assets in order to balance the things out. The most common misconceptions of all are dividing students loan and debt that is all debt obtained before getting married becomes a shared debt if you get married. This is not always the fact. Legitimately, any of the student loan debt that you have acquired before getting married is also considered separate property and it remains so after the divorce takes place. If you borrowed $70,000 for attending the law school before getting into marring of your spouse then here it is the debt forever yours. The process of division of student loan debt becomes tricky. Once the loans have been obtained at the time of marriage. Where in certain cases the spouse who had the student debt isn't certainly the one who is the winner or needs to make the loan payments. The debts have been divided again to go back to the state that you live in as well a the spouse who is getting benefited in the borrowing of the student loan fund. Certain times the court awards in the favor of supporting spouse who offered aid to the other spouse who had borrowed the student loan. These can be including driving the student to the campus and taking over the household chores and even it can delay their own education at certain times. The spouse who is supporting offsets the value of the debt by providing help to their partners with a degree in non-monetary ways which may not be responsible for making the actual payments you require. If you are going through a divorce and going to divide your student loan debt, Here are the 3 pointers which can help you in coming up with a determined and a fair outcome. What was the money utilized for? In most of the cases, the funds from the student loans are gone towards the payment of tuition, school books, fees, and educational supplies in the hunt of a degree. Despite it, some of the money which was borrowed can be unavoidable goes to the living expenses and other costs which benefit the entire family. This needs to be taken into consideration for the purpose of repaying the debt and how each of the spouses can benefit from the money. What is the earning potential of each spouse? If anyone of the spouses has no significant income or the potential to earn on their own, then the court will be less likely to be deemed of the fair for the spouse to incur a part of the student loan debt responsibility. Did the borrower earn a degree while the marriage? The student loan borrowers who have not earned a degree at the end of the result of the debt, Then it needs to be managed whether the degree is considered separate or marital property and how this is determined by the where you live. 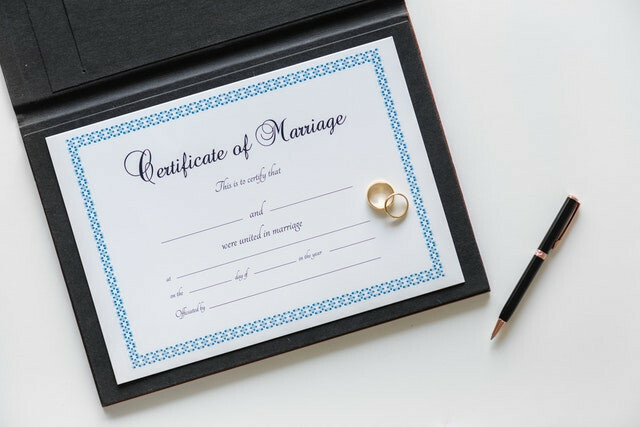 Certain states such as New York the professional degree got between the marriage can be considered as a marital property as the lifetime earning of potential. The debt incurred in the process of obtaining then it's considered as marital property and almost always categorized as a marital debt. Which means that both spouses are equally responsible for the portion of student loan debt repayment. Under some cases, the student loan debt is under the responsibility of the person who acquired it. These are exceptions based on the personal situation and what the court is deciding in the fair and equitable division for both of them. Make sure to consider all the possibilities and the consultation with a lawyer in advance to divorcing so you get what can be expected. Divorce is a never easy process but you are in it and make it with little less painful by prepared on financially. According to a survey which was conducted on marriage and debt by the National Foundation for Credit Counseling a 37% of people said that they won't marry someone until they completely pay off their debt. 10% said that they would marry someone in debt and not help to pay their debt. How much debt is there in a relationship? How much debt are you in and would come into the relationship? If one of you has a student loan debt and the other one doesn't have it might get too bad friction in the relationship. If both of them have the student loan debt it can be tough to manage it and it might even affect the financial milestone of your such as buying a house or starting a family. Whatever the case be as a married couple you need to tackle your financial together as jointly the debts too. The couples need to have a transparent on how much debt is there and you have and come up with a plan to pay it off together. Under the Income-driven repayment plan of federal student loans if you are getting married then it could affect your payments. If you are filing taxes as jointly then your income-based repayment bill can go high additionally if there is any joint income then you might be eligible for some income-driven plans. To qualify for income-based repayment or Pay As You Earn then your monthly payment must be lesser than what it would be under the standard repayment plan. So, marriage might reduce your tax bills and it could lose some benefits of the student loan. You can either file your taxes as married filing separately which is typically reducing the student loan bill on an income-driven plan related to jointly filing. Another option is to consider income-contingent repayment (ICR) where it doesn't have income eligibility requirements. Despite that, it's important to see the big picture whether it makes financial senses. According to the Federal Student Aid website, The ICR plans your payments which is always depended on the income of yours and the family size which usually has a higher payment plan under the IBR and Pay As You Earn plans in certain cases this could be higher than the amount you usually pay in the 10-year standard repayment plan. If you under pressure of the financial implications on the student loan and the marriage it's better to consult a tax specialist or financial expert to get what's good and best for you accordingly. Under certain situations, the spouse can be the reason for your student loan debt. All federal and private student loans provide a death discharge if the borrower dies then some private loan lenders not discharge it. Better read and go through the terms and conditions before entering it. If you are going to school again then your spouse co-signs for your loan then he or she will be legally responsible for the debts if you fail to make the payments. Getting in without a co-signing can also state also your spouse as liable. In this situation, you can get down to a student loan if you are married and lived in the community property state. If you are looking to refinance or consolidation of your student loans then those of your spouse into one single payment then you might be disappointed by your choices. You cannot continue consolidation for your federal as a couple as it qualifies for one as an individual. Well, this applies for the refinancing of student loans too. The student loan responsibilities after the divorce specifically for the federal loans where it will be based on the name that is on loan. If you and your ex-spouse are parallel agreed on the payment arrangement which requires one on you to help pay it off. If not then your name on the loan, it may be enforced by the servicer. If your name is on the loan then you are going to pursue the payment. If that doesn't mean you should try to come to an agreement which will work for both of you but try to stay on the top of your loans which are being paid. Try to make sure you never will miss a payment even if your ex is the one who is responsible to pay it. As the divorce is done your family size changes which will impact on the household income and family size where it means the change in monthly payments. These changes only will take place if you are on an income-based repayment plan. Where it doesn't mean that the monthly payment of your will go down but it will also up or down your loan payment. These payment amounts will be based on the spouse income when compared to yours so it varies for each and every one. If you find trouble on making the payments then look for different repayment options such as IBR plans so you can be on the current loan payments and don't fall behind. If you can try to avoid deferment. Deferment can help you not fall behind on payments but the interest will grow on when you are not paying where this could also increase the life of the loan and increase the amount which you owe, Where it can be your last resort. Some think that just filing for divorce will negatively affect the credit score but that's not truly necessary. What can really affect credit score is the process of changing your bill. Making big mistakes like selling a house, refinancing or restructuring debt can have effects on the credit score. Where some can increase your score where it will lower it. It's based on the situation. If you are in the process of reassessing your financial situation on yourself. then you need to get all important documents such as credit report and score. If you have not seen your credit score in a while this could help you out. Be aware of your credit score and try to avoid any errors on the credit review. 1. How will getting married affect my financial aid? The students who are married and are recognized independent of their parents regardless of their age. The couples income and the assets of the spouse will affect a student's financial aid. Despite it, the rules apply to both the members of the couples as a student. 2. Will getting married affects my taxes? It causes some married jointly and filing as a couple to owe more federal income tax than it had remained as single. If one of the spouses earns more in taxable income then its highly likely that filing jointly will help you get down the tax. For a higher income couple, it can be a bonus of several thousand. 3. 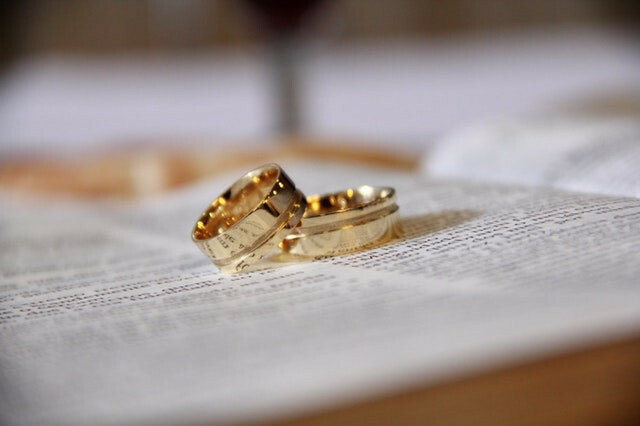 Can you get a pell grant if you are married? It's available for all the undergraduate students for married students it will be determined based on the combined income and assets of the applying student and their spouse. The award amount will be based on the financial need, cost of attendance and the applicants. The Max allowed is $5,500. 4. Is spouse responsible for student loans after death? Federal student loans automatically get canceled once the borrower dies, in the case of private loans it doesn't have protection. Where some lenders discharge their loan in this event. In the case of community property states, private lenders are more likely to hold responsible. 5. What happens to student loans when you divorce? If you or your spouse student loans are taken into consideration of marital debt it doesn't mean that the other person will liable for them in the place of divorce under community property states the debt will be made into 50-50 among the two when they go for divorce. 6. Can my wife student loans affect my credit? Your spouse student loan debt will not affect your personal credit or in case of your spouses died you are not required to pay off the loan. Despite it, married partners surely finances become intertwined. Even the student loan debt is not on yours. Part of your mixed-income will go towards it on paying off. 7. Do married couples get a tax break? The married couple who jointly file and get a claim two personal exemptions on the tax return instead of getting one exemption allowed when you filed it as an individual. The standard deduction which allowed on the tax return is higher for married couples who filling in a joint return. 8. Is it better to file jointly or separately? Married who filling as separate taxpayers can only receive a standard deduction of $6,350 whereas you can get to the filing jointly you can get $12,700. By filling in separate return from your spouse you are automatically disqualified from many of the tax deductions and credit mentioned earlier. 9. Do married couples pay less taxes? The couples provoke a marriage penalty if the two people pay more income tax filing as a married couple than they would pay if they were single and filed as an individual. A couple could receive a marriage bonus if they pay less tax filing as a couple than they do it as single. 10. Do Student loans get divided in a divorce? Legitimately any of the student loan debt you incurred earlier before you get married then it's considered as separate property and it remains so after the divorce. If you have borrowed $70,000 to attend a law school before getting married your spouse then it's yours.